Taking advantage of the opportunities presented by artificial intelligence has meant overcoming resistance from within Diageo's organisation, its chief digital officer Ben Sutherland said. Panel (L-R): Tan, Tazzyman, Reynolds, and Sutherland. "We’re a traditional CPG [consumer packaged goods] business," Sutherland said. "We engineer the quality of the product to the nth degree, and that filters through our business. And that does stifle creativity when it comes to how you use technology, because you don’t have all the answers." He added that the need to use tech in experimental ways was "creating tension in the organisation – but that’s not a bad thing. We’re trying to embrace that." Earlier this week, Diageo launched Johnnie Walker My Edition, an online personalisation experience that asks a series of questions to select one of six new blends that is most suited to an individual’s flavour preferences, which can then be ordered in a personalised bottle. Sutherland said the offering demonstrated that the way Diageo was using AI was progressing from "slightly gimmicky" ideas that were mostly about testing and learning. "This is much deeper in terms of an actual product," he said. "What we’re using AI for in particular is to lower the barriers to entry – some of the flavours [in whisky] are quite complex. People sometimes don’t understand how they should experience the brand. We know that if consumers experience our brand in a fantastic way they’re more likely to drink more." 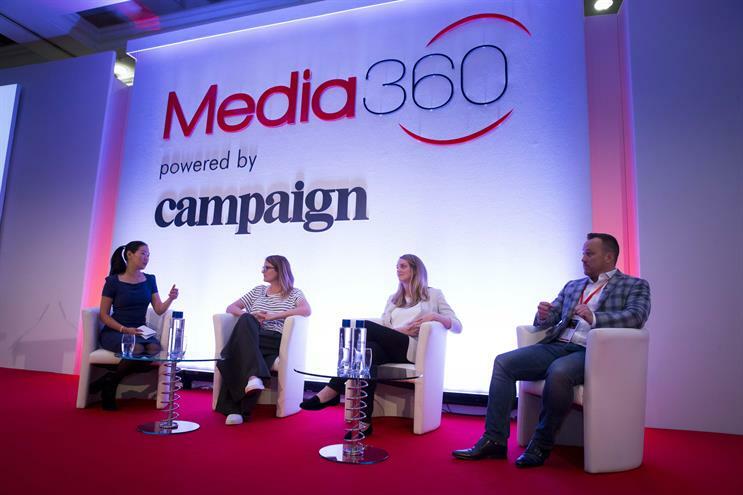 Sutherland was on a panel at Media 360 hosted by Campaign’s global technology editor Emily Tan, alongside Karmarama creative director Imogen Tazzyman, and iProspect’s director of performance media products Caroline Reynolds. AI could allow creatives to focus more on core creative work, Tazzyman said: "If we’re using it in the right way as creatives, we’re basically able to get some time back to get back to the day job." She dismissed concerns that AI could displace human creatives any time soon, saying that despite its growing sophistication, it wasn’t close to replicating human "emotional experience". But AI does have the potential to provide invaluable insight to inform creative ideas, she added, describing how entertainment AI platform Storyfit had analysed thousands of Hollywood scripts, discovering that the prevalence of female roles had barely changed since the 1930s. "But they were able to put that against box office results and prove that as soon as a woman broke the mould, it smashed it at the box office," she said. Reynolds said that although we haven’t yet reached a "point of general intelligence", it was not too soon to start thinking about things like whether AI voice systems should always be identified as such. One benefit of AI, she suggested, was shining light on counter-intuitive truths, such as how AI had shown that fans of Breaking Bad had an affinity with The Voice, but not The Walking Dead.